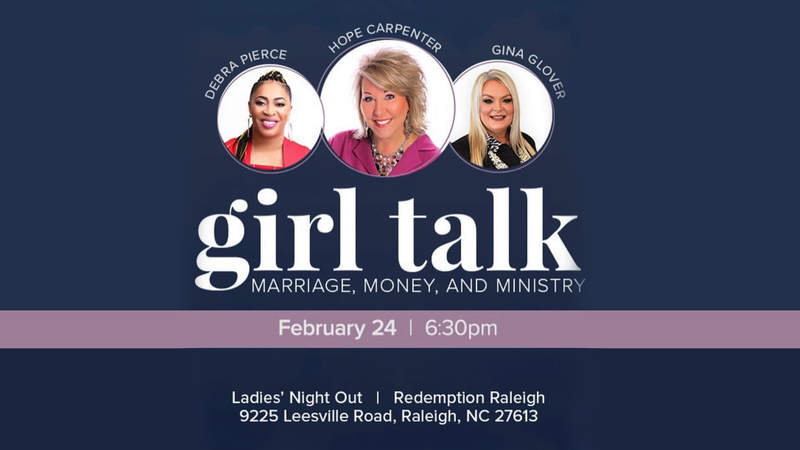 It's Ladies Night Out this Sunday, February 24th at 6:30pm as Lady Deb and the women of Mount Zion travel to Redemption Raleigh for "Girl Talk." No topics are off limit as subjects are explored ranging from marriage, money and ministry! This is a FREE event that you don't want to miss! Meet us at 9225 Leesville Rd. Raleigh, NC 27613! If you have questions about the event, contact Pastor Kiya Shears at [email protected].